Date: Oct 27 2018, 10:30 a.m. - 4:30 p.m.
Save the date for the Great Pumpkin Shootout! 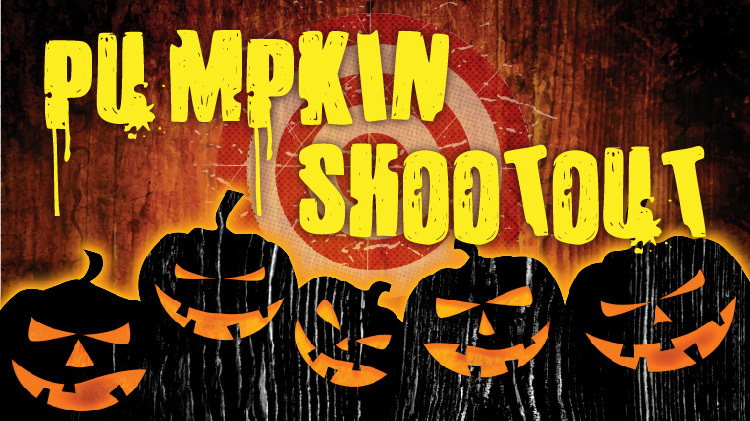 The Great Pumpkin Shootout is a #MountainPostLiving program. Kid shootout: 9:00 a.m.-12:00 p.m. Adult shooutout: 12:00 p.m.-4:00 p.m. Range regulations and age requirements are enforced. Contact Cheyenne Mountain Shooting Complex for cancellation policy.